Dandenong District powerhouse Buckley Ridges faces an uncertain future and increased pressure from council to relocate in the coming years after safety concerns were raised due to the overlapping of its home base, Park Oval, and the adjoining oval, Wilson Oval, which is used by Dandenong’s thirds and fourths. Park Oval – one of the iconic grounds in the association, is laced with history – but has come under scrutiny for the size of its oval, with the Pultney Street ground located just outside of Shepley Oval. It is understood that council initially advised the club at a meeting on Thursday morning with Buckley Ridges president Sonny De Silva that they would be required to move to Greaves Reserve 4 as of this weekend for a select amount of matches, which is a turf ground previously used by the Dandenong Women’s side, to alleviate concerns that someone would be hit by a cricket ball playing on the overlapping oval, according to a risk assessment report. Adrian Jones from Cricket Australia was also present. When given the chance to defend the club, De Silva highlighted several factors, such as the fact that the two clubs have played side by side for three decades, citing issues with other grounds in the Metro region, the extremely strong junior program that has been developed, as well as a lease agreement for the year and their successful refugee program as reasons why they should not be booted out. The council had a follow up meeting on Thursday afternoon, and advised the club shortly after that they would try and work together to mitigate the risks so it won’t disrupt the current season, in which the Bucks are absolutely flying, particularly in Turf 1. On Friday morning, the council contacted the club to advise that they will remain at their iconic home, for at least this season, however. De Silva told the Journal that the club was disappointed with the entire process, but confirmed that cricket wouldn’t be impacted this season, which is a slight sigh of relief. “Everything will go ahead as per normal, and they will look at everything and reconsider their stance and any precautions to be taken. Every game will go ahead, “he said. “Cricket’s been played on those ovals for almost 40 years, and nothing’s happened, and it is strange timing to try and move us mid-season- the process was wrong. De Silva said the club will make a strong move to claim Wilson Oval, which was used by the club prior to Dandenong’s thirds and fourths, but admitted the future of the powerhouse is in the air, with the club seeing its long-term future being in the City of Casey, and admits there’s a range of different possibilities about where the club could land. “We’ll keep fighting as we go along – the future is really uncertain,” he said. “We’ve approached Casey council, and they won’t put on turf grounds for 10 years – but we see our future in the Casey area. De Silva also said that finding a solution will be a long process, with potential moves to Greaves Reserve or a merger with a fellow DDCA club all possibilities. “We have to consider it (moving to Greaves Reserve) – our clubhouse and practice area isn’t the best, but we have a lot of resistance from the membership, and we understand where they’re coming from, but it comes down to the council if they won’t give us another lease,” he said. “There’s a lot of DDCA clubs that are struggling in Dandenong, so there could be a merger opportunity, i’m open to everything. Director of Community Services for the City of Greater Dandenong, Martin Fidler, said that the council simply complied with Cricket Australia guidelines. “To ensure compliance with the Cricket Australia Community Infrastructure Guidelines, council undertook an audit of all cricket grounds in the municipality,” he said. “As a result of the audits council met with three local cricket clubs to discuss the outcomes of the audit and to discuss options for allowing the continuity of play for the existing season. 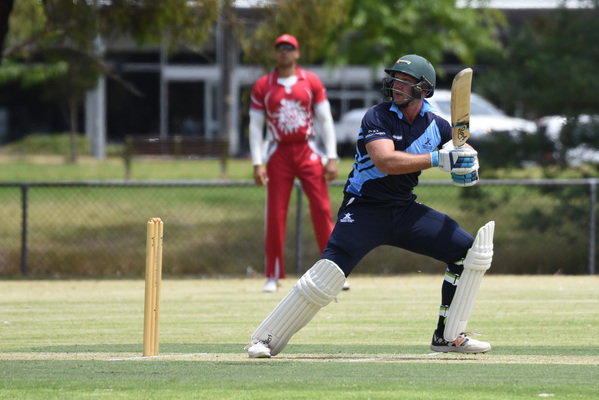 The club has the full backing of the Dandenong District Cricket Assocation, Cricket Victoria, and Dandenong West, who is based out of Greaves Reserve.